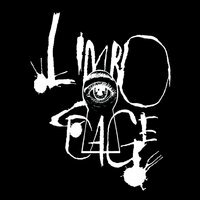 Limbo Cage is a rock band that originally formed in Sanford Maine in the 90's. Founding members included Scott Cote, Scott Pelchat, Rick Ramsdell, and Pete Hebert. The original lineup split in the mid 90’s. Scott Cote continued with other members until his death in 2015. The compilation of work on this release is a culmination of re-imagined works written by the original lineup of Limbo Cage which includes the songs Can’t Complain, Cloud 9, Junk Basket, Come Alive and Limbo Cage. The additional songs are new works written by Scott Cote, Alan Belliveau, Jon Polletta, Russ Ham, Rick Bond and Mike Flayhan. We would like to thank everyone that has ever supported Limbo Cage and its members over the years. Scott’s passing was an enormous loss for anyone who knew him. Please enjoy the music he helped create. Below are all the links, pick one you like and make a connection!